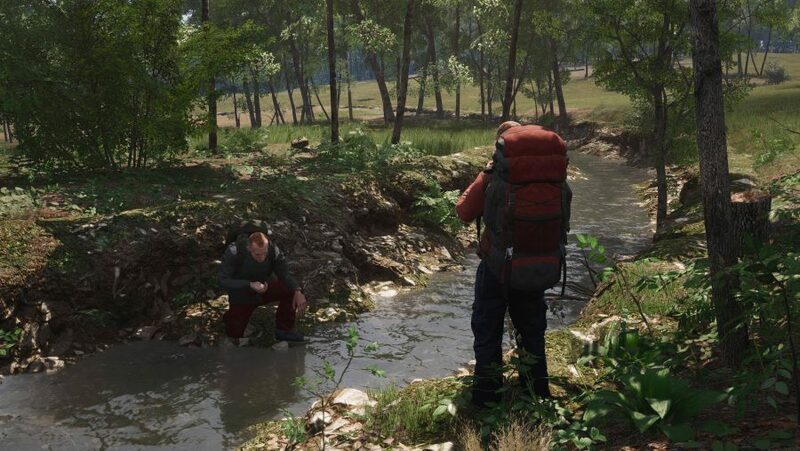 Can a granular attitude to simulation help SCUM stand out in a sea of survival games? It’s an idea that survival game developers have largely ignored, too. While single-player games like The Long Dark have forefronted the struggle against nature, the multiplayer open worlds available on Steam tend to become combat-focused killzones. The studios behind SCUM intend to change that. Set in a dystopian near-future where mega-corporations wield the stick, SCUM is the carrot – a brutal entertainment show designed to keep the masses busy and complacent. In this TV extravaganza, prisoners are sent to a private island to battle unto death, vying for the support of viewers, producers, and sponsors. The winner needs knowledge, and not just skill, to master the complex systems developers Gamepires and Croteam have built. The telly corporations of SCUM’s universe must be rolling in it. The show’s private island is 144 square kilometres of dense forest, abandoned towns, former airfields, and beautiful beaches. Gamepires and Croteam have worked hard to cover this vast space with varied and interesting terrain. The island is broadly split into three biomes – a coastal Mediterranean paradise, lush continental forests, and rocky mountains. 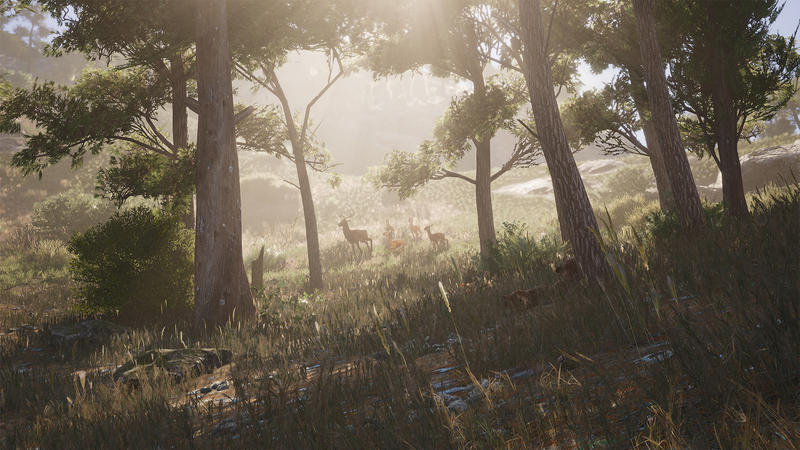 "The multiplayer networking part of Unreal Engine 4 is a really nice system," Oreskovic says. "Epic made the optimisations it made for Fortnite publicly available. We’re using them, and they’re great." One of those modifications is a custom system to track your metabolism. In fact, under the hood of SCUM are dozens of complex systems that simulate inertia while moving, the speed that clothes dry, and the inner workings of the human body. Frankly, it’s a relief to finally find a survival game that recognises my ample reserves of stored fat as the benefit they really are. Starvation can kill as easily as a knife, you know, so pass the biscuits. 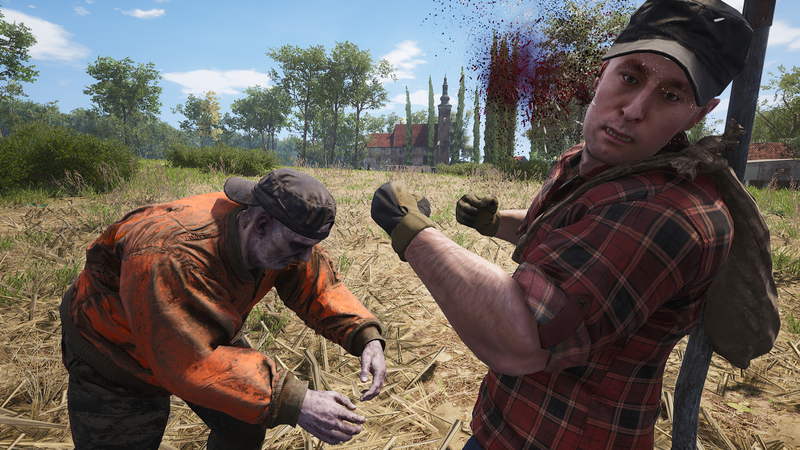 SCUM is available in Early Access. Unreal Engine 4 development is now free. In this sponsored series, we’re looking at how game developers are taking advantage of Unreal Engine 4 to create a new generation of PC games. With thanks to Epic Games, Gamepires, and Croteam.